You know what grown ups don’t like? Mice and rats. You know what children love to read about? Mice and rats. There’s a definite disconnect there, but we just ignore it as much as possible. The hugely popular If You Give A Mouse A Cookie is proof of that. One of these rodent books is actually treasured in my family. 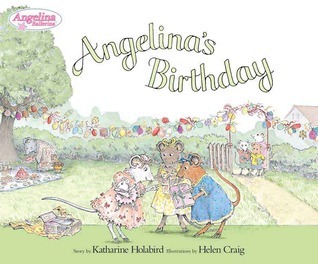 In fact, it has recently been read aloud at a family gathering, to a group of adults, just to make sure the whole family and all its additions appreciate its greatness. Yes, that’s the kind of awesome family I married into. =) And when we borrowed the treasured book and it met with an accident and some Scotch tape, we called and apologized because it is that beloved. 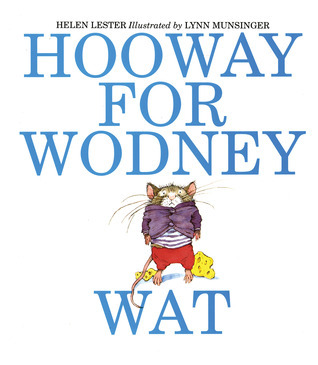 Hooway for Wodney Wat is a book about a pitiful little rodent who can’t say his ‘r’s. As a result, he is shy and hides in his jacket as often as possible. He deals with some mild teasing and it looks like he’s doomed to be at the bottom of the rodent chain forever. But when a new bully comes to class who makes everyone miserable, Rodney’s stutter takes a turn from curse to blessing. Read it to your kids and cheer for the underdog…err, rat, and make sure to talk about how it feels to both be bullied and be the bully. The kids and I stumbled upon the sequel to Hooway for Wodney Wat last week at the library. We had no idea it existed and I can’t tell you how excited my children were to show their daddy. The story line in Wodney Wat’s Wobot is pretty similar to the first book, but it goes a step further in the bullying theme to address how changing whatever it is about yourself that people like to make fun doesn’t really fix any problems. Wodney’s Wobot is supposed to allow him to say his ‘rs without any trouble, but it’s when it stops working that Wodney becomes a hero again. Those are our favorite mice and rat books these days. Do you or your children have any rodent reads they love?